T. Ya. Ashikhmina, Doctor in Technical Sciences, Professor, Vyatka State University, Institute of Biology of the Komi Science Centre of the Ural Division RAS. S. V. Degteva, Doctor in Biology, Director of Institute of Biology of the Komi Science Centre of the Ural Division RAS. L. I. Domracheva, Doctor in Biology, Professor of Vyatka State Agricultural Academy. I. G. Shirokikh, Doctor in Biology, Rudnitskiy Zonal Research Institute of Agriculture of the North-East. B. I. Kochurov, Doctor in Geography, Professor, the leading researcher of the Institute of Geography RAS. 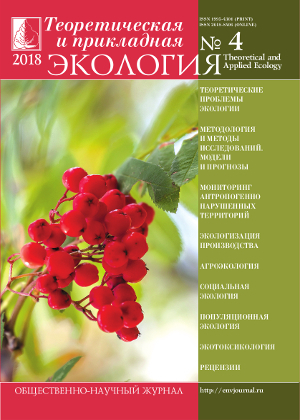 S. G. Skugoreva, PhD in Biology, researcher of Institute of Biology of the Komi Science Centre of the Ural Division RAS. V. A. Alexeev, Doctor in Technical Sciences, Professor of Udmurt State University. A. M. Askhabov, Doctor in Geology and Mineralogy, academician of RAS, scientific director of the Komi Science Centre of the Ural Division RAS. T. K. Golovko, Doctor in Biology, Professor, the Chief Researcher of Institute of Biology of Komi Scientific Centre of Ural Division RAS. A. Gross, Doctor in Chemistry, Professor of Aarhus University (Denmark). M. V. Dorodnikov, PhD in Agricultural Sciences, Georg August University of Göttingen (Germany). I. E. Dubovik, Doctor in Biology, Professor of Bashkir State University. G. P. Dudin, Doctor in Biology, Professor of Vyatka State Agricultural Academy. G. A. Evdokimova, Doctor in Biology, Professor, Vice-Director of Research Institute of the North Industrial Ecology, Kola SC of RAS. G. M. Zenova, Doctor in Biology, Professor of Lomonosov Moscow State University. G. Ya. 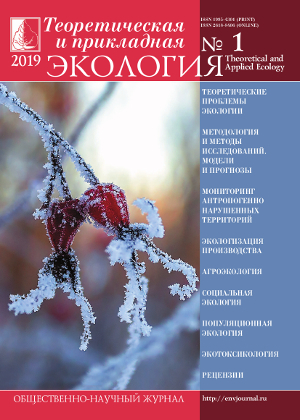 Kantor, PhD in Technical Sciences, researcher of the Institute of Biology of the Komi Science Centre of the Ural Division RAS. V. L. Kovalenko, PhD in Technical Sciences, Associate Professor of Ukrainian State University of Chemical Technology. Yu. Ю. Kolbovsky, Doctor in Geography, the leading researcher, Professor of Lomonosov Moscow State University. E. I. Kolomiets, Doctor in Biology, corresponding member of the National Academy of Sciences of Belarus, Director of Institute of Microbiology, National Academy of Sciences of Belarus. L. V. Kondakova, Doctor in Biology, Professor of Vyatka State University. A. Kornaś, Doctor in Biology, Professor of Pedagogical University of Krakow. V. A. Kotok, PhD in Technical Sciences, Associate Professor of Ukrainian State University of Chemical Technology. 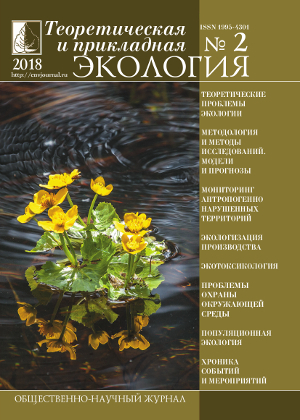 A. V. Kuchin, Doctor in Chemistry, corresponding member of RAS, Professor, Head of the Laboratory of the Institute of Chemistry of the Komi Scientific Center of the Ural Branch of the Russian Academy of Sciences. V. N. Lazhentsev, Doctor in Geography, Professor, RAS Advisor. V. Z. Latypova, Doctor in Agriculture, corresponding member of Tatarstan Academy of Sciences, Professor of Kazan Federal University. Li Yu, Professor, Director of Mycology Institute of Jilin Agricultural University, Foreign Associate of RAS (China). S. G. Litvinets, Vice-Rector for Science and Innovation of Vyatka State University. V. A. Malinnikov, Doctor in Technical Sciences, Professor, Vice-Rector of Moscow State University of Geodesy and Cartography. A. A. Moskalev, Doctor in Biology, Chief of the Laboratory of Institute of of Biology of the Komi Science Centre of the Ural Division RAS. J. Pange, PhD in Technical Sciences, Professor of University of Ioannina (Greece). S. V. Pestov, PhD in Biology, Associate Professor of Vyatka State University. V. S. Petrosyan, Doctor in Chemistry, Professor, Head of laboratory in Moscow State University. S. A. Rubtsova, Doctor in Chemistry, senior researcher, Acting Director of the Institute of Chemistry the Komi Science Centre of the Ural Division RAS. V. P. Savinykh, Doctor in Technical Sciences, corresponding member of RAS, Professor, President of Moscow State University of Geodesy and Cartography, Pilot-Cosmonaut, twice Hero of the Soviet Union. F. Skapini, Doctor in Biology, Professor of Florence University (Italy). V. A. Sysuev, Doctor in Technical Sciences, academician of RAS, scientific director of Rudnitskiy Zonal Research Institute of Agriculture of the North-East. V. A. Terekhova, Doctor in Biology, leading researcher of A.N. 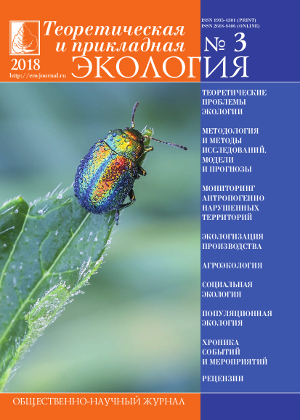 Severtsov Institute of Ecology and Evolution of RAS. T. A. Trifonova, Doctor in Biology, Professor of Lomonosov Moscow State University. V. I. Kholstov, Doctor in Chemistry, Director of the Conventional Obligations Implementation Department of the Industry and Trade Ministry of the Russian Federation. B. H. Chojnicki, Doctor in Biology, Professor of Poznan University of Life Sciences (Poland). M. Kh. Hussein, Doctor in Biology, Professor of University of Assiut University (Egypt). V. T. Yungblyud , Doctor in History, Professor of Vyatka State University.